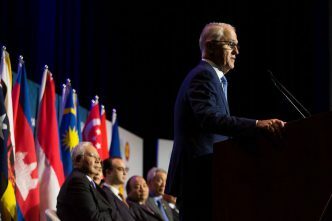 An Australia fully embracing Southeast Asia will be seeking to join the ASEAN Community, not Suharto’s ASEAN. 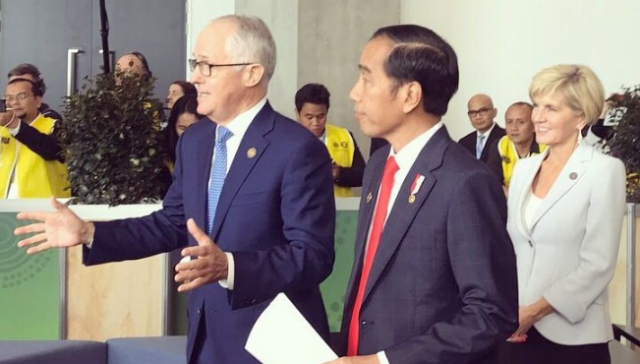 The glimpse Australia has of its future in Southeast Asia—framed by Indonesia—is the opportunity offered by Jokowi rather than the past strictures of Suharto. Australia gained huge benefits from Suharto’s ASEAN. Now we need to embrace the different ASEAN Jokowi offers. 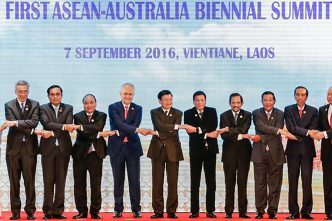 The Southeast Asian future Australia wants is the one ASEAN proclaimed for itself in 2015 with the creation of its Community. The Community principles, expressed in three strands—political-security, economic and socio-cultural—comprise a vision that Australia, as a liberal democracy, can embrace and endorse—and even sign up for. The Community project builds on the positive bits of the Suharto legacy—the emphasis on growth and stability. But the Community effort to create a people’s ASEAN, rather than an elite power vehicle, must shift the association a long way from the dark and brutal elements of the Suharto inheritance. The authoritarian lurch across the region shows that Suharto habits still resonate. Suharto’s DNA is integral to what ASEAN built in its first 50 years. The better angels of the Community project must shift ASEAN’s conception of itself in the decades ahead. As one example of the changes and challenges that are coming, see the white paper on what the highly-disruptive technologies of the fourth industrial revolution will mean for ASEAN as an institution and for regional economic integration. Q: Given the closeness of the relationship, trust has been restored, should Australia join ASEAN, would that be an option and would you support it? Jokowi: I think it’s a good idea. Q: Do you think it would be supported by other countries? Q: Why do you think it’s a good idea? Jokowi: Because our region will be better, [for] stability, economic stability, and also political stability. Sure, it will be better. Negotiations for an interview with President Jokowi began with staff from his office months before I moved to Jakarta. The President’s staff understood at least two weeks in advance that there would be specific questions about Australia joining ASEAN and it was quite apparent during our interview that he had been well briefed on the topics we planned to ask about. On several other issues during the interview, such as whether Indonesia should consider joining the quadrilateral dialogue, he was more than willing to disagree with or dismiss propositions put to him. Indonesia’s president endorsed a big idea. While not an offer or a plan, it’s a significant marker, an Indonesian endorsement that matters. Australia and ASEAN are going to have to do a lot of work to build an idea that’is starting to get traction. 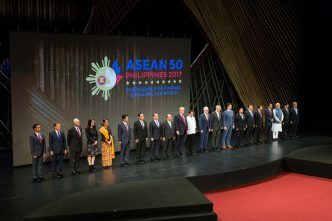 ASPI has been doing its bit by discussing the mechanics of membership in its special report, Australia as an ASEAN Community partner, which was issued in February, ahead of the Sydney summit. In full idea-pushing mode, a discussion paper version of that report was circulated around Oz government departments, ASEAN embassies and Canberra chatterers in November. With careful preparation and subtle diplomatic persuasion I believe it would have been possible in the 1980s or early 1990s for Australia to join. Sceptics did not believe our initiative to establish APEC in 1989 would succeed. It did in only ten months from the announcement of the intention to the first ministerial meeting in Canberra. I can see no intrinsic reason why it would not have been possible to achieve Australian membership of ASEAN at that time. In foreign policy symbolism is important. That is one reason why Australia should have seized the opportunity to become a republic in 1999. Australian membership of ASEAN would symbolise in a decisive way our place in our own neighbourhood. We are not Asian but we live in South East Asia and the South West Pacific region. Nor are we Melanesian or Polynesian but we are in the South Pacific Forum. Membership of ASEAN would also have underpinned our security and strengthened our commercial opportunities in the region. Jokowi has embraced the idea. Now Australia must work to make it happen. Lots of smart people will need much more persuading (including most of Indonesia’s elite, apart from Jokowi). The worry, noted by Anthony Milner, is that Australia seeking membership could be a distraction or counterproductive. Yet, as Anthony also writes, ‘ASEAN remains our best option if we wish to build trust, not confrontation, in this rapidly changing region.’ Indeed. We must be close to ASEAN—it’s just a matter of how close. Australia is committed to Asia. We want to be in. 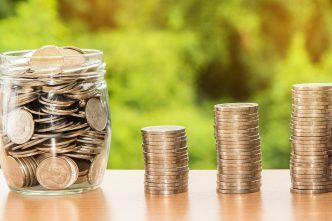 Are we ready to go all in? The ASEAN Community—Jokowi’s ASEAN—will be a natural and proper part of Australia’s Asian future. Graeme Dobell is the ASPI journalism fellow. Image courtesy of Indonesian Consulate General in Sydney via Twitter.